How to Lift a Car with Rotary Hydraulic Lifts | Reliable Hydraulics Inc. When changing out the brake pads, draining the oil for an oil change, or performing a host of other day-to-day jobs, it is always imperative to have the right lift for your mechanical situation. There are a few things to think about when considering what lift is best for you, such as space constraints, budgets, and the types of automobiles you typically have in for the aforementioned mechanical tasks. When asked what we recommend for lifting a car, we always talk about the value found in Rotary hydraulic lifts. As a premier and authorized dealer of Rotary hydraulic lifts, we have compiled the necessary information here for you to read and make the decision on which is right for your particular situation. The amount of available space you have plays a large role in the type of lift you have installed in your shop. Most professional shops have both a 2-post and a 4-post hydraulic lift in their shop because they have the room. Having one of each is beneficial because of the differing usage of each. A lay mechanic may not have the room for both lifts, so it is beneficial to know the space constraints between these 2 options. A 4-post lift can be portable, which makes it an ideal option if you have little space to work with. You can use the lift when needed and store it away when finished. 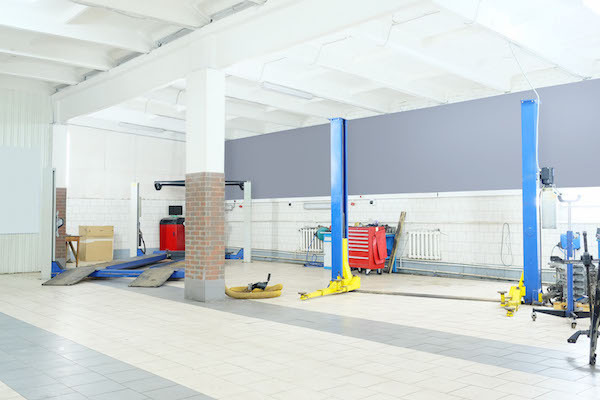 A 2-post lift must be anchored in the ground, making it a permanent fixture in your shop or garage. A 2-post lift is a great choice if you don’t have a lot of vertical room in your garage because after loading, the vehicle â€œhangsâ€ lower on the arms of a 2-post lift. Both the 2-post and 4-post Rotary hydraulic lift options are great products; you just have to take a look at your space constraints and decide which one is right for you. Reliable Hydraulics Inc. is a premier distributor of both 2-post and 4-post Rotary lifts, so we can help you with any additional space constraint questions you may have. While the money spent on a hydraulic lift can be a bit much for some, the amount of work you can complete on a normal day will more than compensate for the investment. 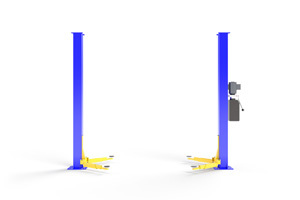 As far as the difference between Rotary lifts, if you want to have the ability to do a wide range of repairs on automobiles and you are working on a limited budget, it may be wise to take a look at the available 2-post lifts. A 2-post lift is the least expensive way to raise the most amount of automobile weight. A 2-post lift allows you to access easily all of the parts of your automobile, including wheel assemblies. A 4-post lift requires an auxiliary lift, often at an extra cost, which will raise the car off the runways if you want to work on the wheel assemblies portion of the automobile. When choosing between 2- and 4-post lifts, there are a few automobile and operational constraints to consider. If you are working with low-clearance vehicles, it is easier to load them onto a 4-post lift. In the realm of loading, a 4-post lift is much easier to load a vehicle onto. The driver only needs to drive onto the lift. A 2-post lift does need extra positioning after driving over the lift, as the arms need to be positioned evenly on each side to allow the vehicle to have an even lift. Additionally, height adaptors must be used for higher vehicles such as trucks or SUVs. When using a 2-post hydraulic lift, it is also important to know the body type, unitized or straight frame, in order to position the arms properly. Once you have looked at all of your options and decided on the type of Rotary hydraulic lift you want, make sure you only buy from an authorized Rotary dealer, like Reliable Hydraulics Inc. We are a premier provider of both 2- and 4-post Rotary hydraulic lifts. When you need to lift a car, we’ve got you covered. This entry was posted in Auto Lifts on July 15, 2015 .